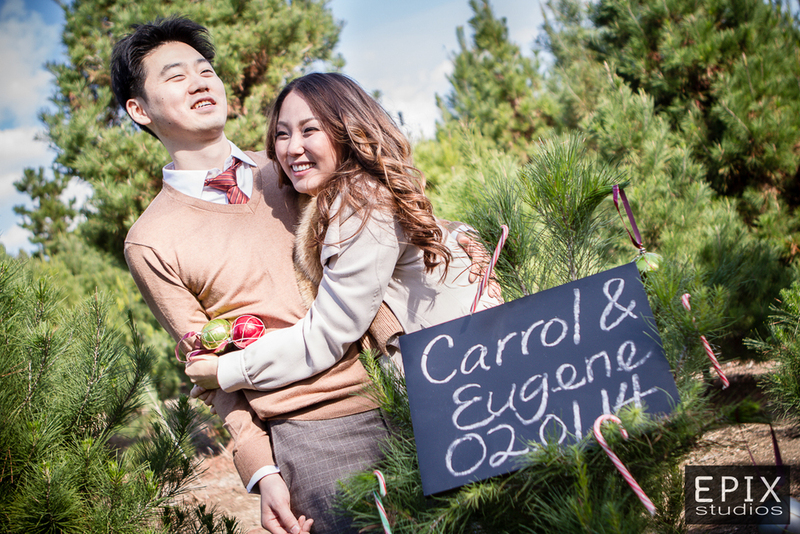 We met Carrol and Eugene on a sunny Sunday morning in Orange County at a Christmas tree farm. 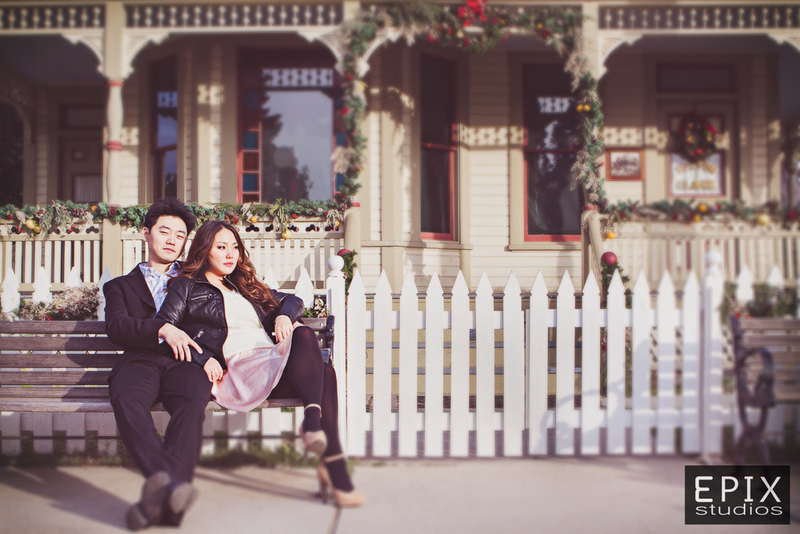 It was about 65 degrees and sunny; which seemed very strange doing a Holiday inspired engagement shoot while it was so warm outside. Regardless, Carrol and Eugene came stylishly dressed and ready! These two definitely compliment each other very well and are absolutely perfect together. Eugene is cool and carefree. Carrol is energetic and bubbly. With their forces combined, we all laughed during the entire session. Literally. Eugene can always count on Carrol to put a smile on his face. More to the story to be continued!